For weighing bulky and heavy objects, you need a scale that can accommodate the size and withstand the constant need for heavy-duty weighing. One type of industrial scale suited for this type of application is a platform scale. This type of scale is commonly used in industrial settings across various sectors. A platform scale is typically a simple device made with stainless steel for easy cleaning or textured surface for extra grip. There are some models with wheels for mobility, while others can be stationary. Platform scales are quite sturdy and are designed for heavy-duty use. Like other types of scales, these also come in various sizes and may include added features such as checkweighing and counting. There are platform scales that come with integrated ramps, while some standard designs allow for adding ramps as an accessory. A platform scale is also a versatile piece of equipment which you can pair with an indicator to increase the weighing capacity. If required by the application, sophisticated platform scales may be designed to be compatible with computers and digital printers. These features are useful for keeping track of large volumes of products passing through inventory. Many industrial sectors use platform scales because of the sturdy design and heavy-duty capacity. In the manufacturing industry, a platform scale is quite useful in measuring the weight of massive objects or counting a large number of smaller objects. In the agriculture and veterinary sector, a platform scale is often used to weigh live animals or to weigh products in bulk. Although the working principle of a platform scale is simple and straightforward, choosing from a variety of designs, sizes, and models can be a challenging decision. There are essential factors to consider before selecting a particular type of platform scale. The capacity and readability of the scale are two of the fundamental characteristics to consider. If the application does not require weighing large quantities or massive objects, you do not need a high-capacity platform scale. The scale size is the next factor to consider in selecting a model. For measuring heavy yet smaller items, there are platform scales with high capacities in smaller, more compact dimensions. This type of platform scale will not take up much space, but will still be able to provide the necessary function. If the application requires the platform to be moved around, you also need to take into account whether or not it will fit through doors as well as the other spaces where you will use it. Apart from these primary considerations, you also need to look into the different indicators and features that come with each model. These features and indicators will help make the job much easier, but only when it is necessary and useful for the intended use. 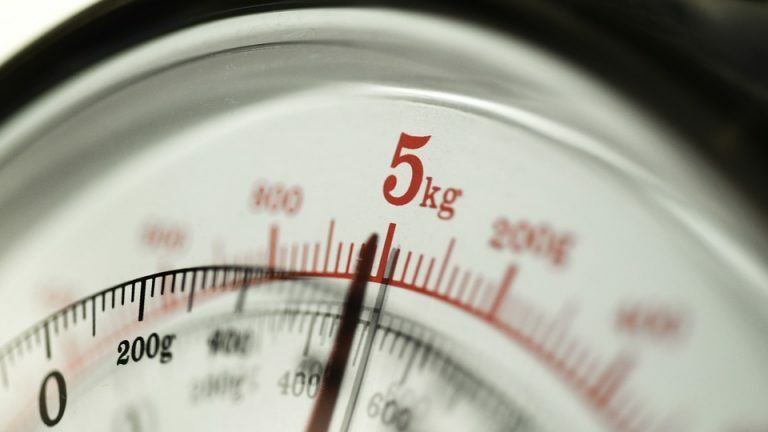 If you are going to weigh products such as food, you will need a platform that is faster to clean such as one that is made with stainless steel. If easier access to the scale is necessary, you may need a scale with a ramp or has a surface with added grip.